As if you needed another good reason to take up recreational running…But if you do, consider jogging because it can really calm your anxiety. Anxiety disorders are the most common mental illness in the U.S., affecting 40 million adults in the U.S., or 18% of the population, according to the National Institute of Mental Health. The Anxiety and Depression Association of America (ADAA) says that they are highly treatable, but only a third of patients actually receive treatment. People with anxiety disorders are three to five times more likely to go to the doctor. Why spend the money when you can prevent the problem from getting worse by simply running. You don't need to do it for hours every day. Studies have found that exercise creates vibrant new brain cells. Physical activity reorganizes the brain so that its response to stress is reduced and anxiety is less likely to interfere with normal brain function. In experiments, when mice that were allowed to exercise regularly experienced a stressor – such as exposure to cold water — their brains displayed a spike in the activity of neurons that shut off excitement in the ventral hippocampus, which is the region in the brain that regulates anxiety. Other studies suggest that exercise improves brain function almost immediately and the positive effects can make a big difference in the long-run. Exercise helps release endorphins, also known as the feel-good chemicals in the brain. Endorphins and endocannabinoids, known for relieving pain and promoting positive feelings (among other things), are chemicals naturally produced in the brain during exercise, research shows. People feel under stress all the time; sometimes they don’t even realize it. It’s important to handle the pressure before it becomes chronic. The Mental Health Foundation recommends exercise as a way to relieve tension, stress and mental fatigue. Doctors often recommend running. 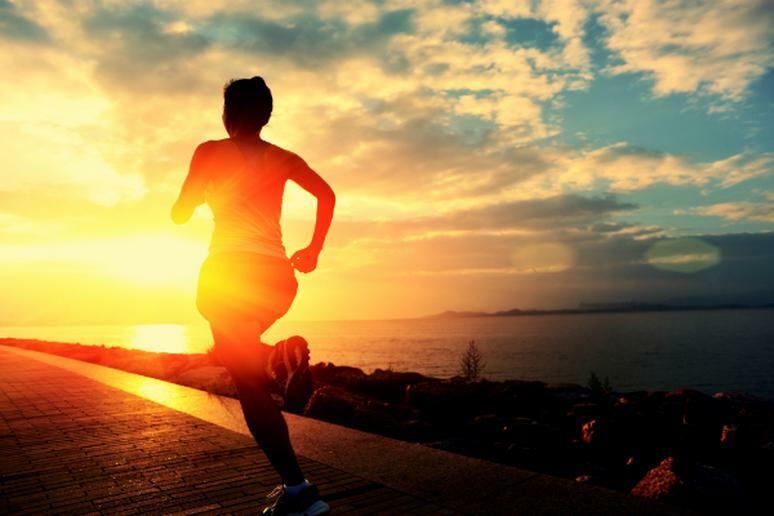 They believe that the chemicals that boost your mood after a run also help relieve stress. One study even found that exercise can help reduce the ill-effects of stress internally. Running, and aerobic activities in general, will increase your body temperature. “It's also common for episodes of increased stress and anxiety to cause a person to feel cold or chilly because of the restricted blood flow to the skin due to the constriction of blood vessels caused by the stress response,” according to Anxiety Center. When the body feels cold or chilly, it wants to increase its temperature and go back to normal. Warm body temperature, not fever, of course, will calm the body. Running connects people. Whether you are training for a marathon, work with a coach, run with friends for motivation and accountability, you are socializing. This takes away feelings of loneliness, which is a common problem for those with anxiety.